Voter Information Cards are mailed to registered voters, letting them know exactly when and where to vote on the provincial election day. Elections Ontario reminds you to make sure you receive a Voter Information Card, by registering online now. May 29, 2018 – How big is Ontario’s hydro problem? And can the Liberals, NDP or PCs fix it? (Global News) Also see video: Ontario’s energy situation is one of the most talked about election issues. It isn’t going to be an easy one to clean up. 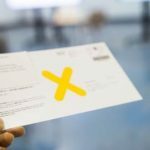 May 20, 2018 – Want to vote ‘none of the above’ in Ontario’s election? Here’s how you can (Globe and Mail) All of us have a right and a duty to have our say on election day. Vote for one of the parties, if you can. Decline your ballot, if you must. But be heard. In this election season young people may be more motivated, but they also know what they don’t know — and that they need to know more. Fall 2017 – Ontario NDP vision document It’s about change. It’s about you. September 2017 – Elections Ontario has launched an e-registration portal. Click here to view. Bill 115, Electoral Boundaries Act, 2015, received Royal Assent on December 3, 2015. Bill 115 increases the number of electoral districts from 107 to 122, following along the boundaries set out by the federal 2013 Representation Order for Ontario, while preserving the special boundaries of the 11 seats in Northern Ontario set out in the 1996 redistribution. Two new districts have been created in Ontario’s Far North. Bill 45, the Election Statute Law Amendment Act, 2016, received royal assent on December 8, 2016. This Bill fixes the election date to the first Thursday in June of the fourth calendar year. The term of office for elected provincial representatives is a four year term. Learn who in your community best represents your position on the issues that mean the most to you and your family! Note there will be 124 electoral districts for the 2018 General Election (up from 107).